Get competitive quotes on outdoor advertising in Beantown! Boston, Massachusetts is one of the oldest cities in the United States and a fantastic outdoor advertising location. 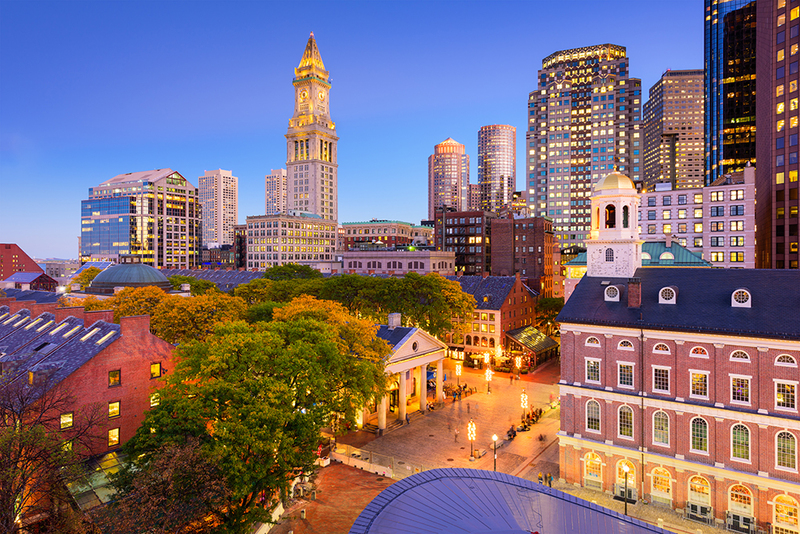 The city’s rich history draws millions of tourists every year to sites such as Boston Harbor, Freedom Trail and Faneuil Hall. Boston is also home to some of the highest ranked universities in the world, with over 100 colleges and universities in the area, and BillboardsIn can help you target students throughout the city. Or you can target sports fans by finding ad space near TD Garden or Fenway Park. Advertise downtown around the Boston Common, along Beacon and Tremont Street, or find billboards along I-90 and I-93 highways. Furthermore, take advantage of the many transit advertising and street furniture advertising options that the city has to offer, adding to its long-standing tradition. Choose an ad form below to find out more. Or use BillboardsIn’s huge database to start planning your next outdoor advertising campaign in The Cradle of Liberty.